uAvionix today announced it has received notice from the United States Patent and Trademark Office (USPTO) that its Patent application for “Aircraft Navigation Light ADS-B Radio” including the “Power Transcoder” has been accepted by the USPTO and will issue as Patent 10,156,627 on December 18, 2018. 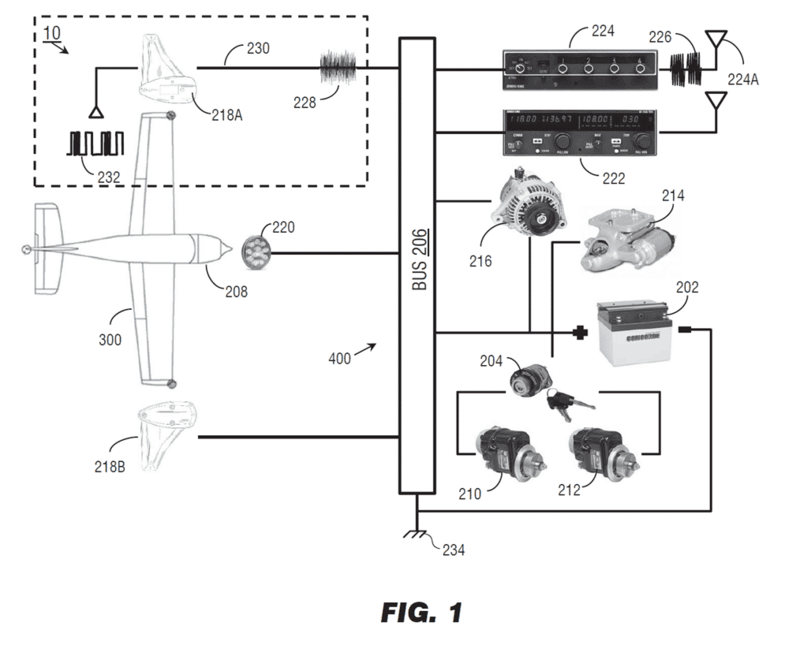 The newly issued Patent describes the concept behind the uAvionix skyBeacon and tailBeacon products – a revolutionary design which reduces installation time to minutes by integrating the ADS-B radio, GPS, altimeter, and antennas into an aircraft position and strobe light. The skyBeacon received 5 Technical Standard Order (TSO) Approvals from the FAA on September 4, 2018 – and a 272 aircraft Approved Model List (AML) Supplemental Type Certificate (STC) on November 28, 2018 – making it the most widely applicable ADS-B OUT solution on the market for General Aviation (GA). The Power Transcoder is used within uAvionix certified and uncertified products, including skyBeacon, tailBeacon, and echoUAT.